hd00:29Dry farm wheat field in central Utah. Farm combine harvesting crop along back of field. Grain and food crowing. Dusty air and loud noises. 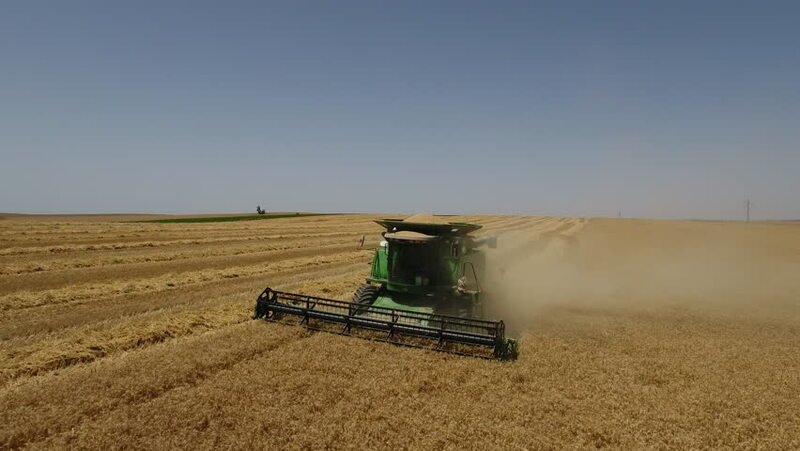 hd00:32Video of a dry farm wheat field in central Utah. Farm combine harvesting crop along back of field. Grain and food crowing. Dusty air and loud noises. 4k00:0715.07.16 – Tetiiv, Ukraine. Golden field and combine. 4k00:05Aerial Shot of A Harvester Threshing Grain Crops.The farmer is harvesting wheat with a technologic harvester in the top of the mountain while the sun is going down to end a beautiful day.